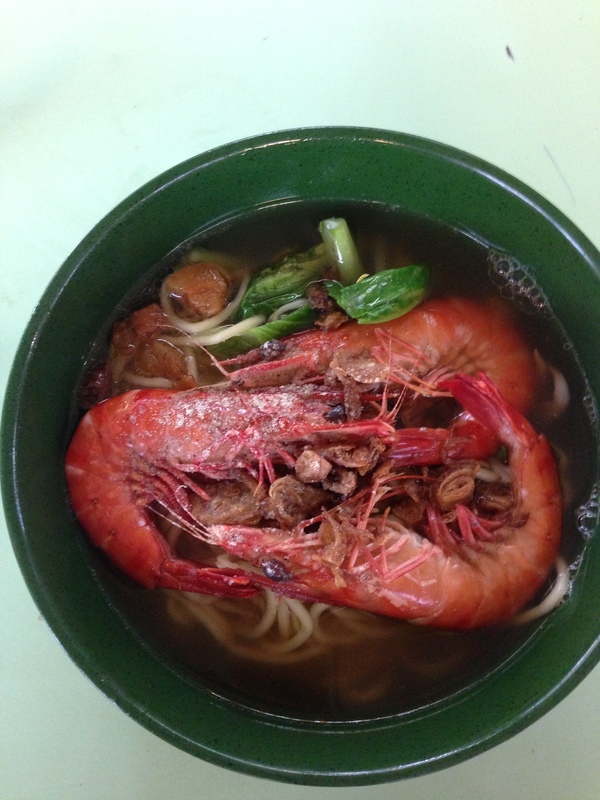 Why not try another Prawn Mee at Old Airport Road? This one is in the middle section, behind Whitley Road/Claypot Rice and next to Pasta/Meilock Soursop/Satay. The main thing that you notice here is that there is a tank underneath, and there is live prawn. One of the selling points is that they capture the prawns live and then cook it for you in the Prawn Noodle. The live prawn is prawn. But the Big Prawn is not live. So the uncle asked me if I wanted the live prawn instead of the Big Prawn. You get three live prawn for the same price as two Big Prawn. Okay, let’s try. First thing you notice, the broth is really flavorful and good. The noodles are nice and springy too. And there is some veggie there. And then the fresh prawns were so nice and delectable! Very good! I think that the styles of the Prawn Mee are different between all of the stalls, this certainly has a different taste than that of Albert St or Whitley Rd. It’s more like when I was growing up, that kind of taste. But, I still prefer Albert St. 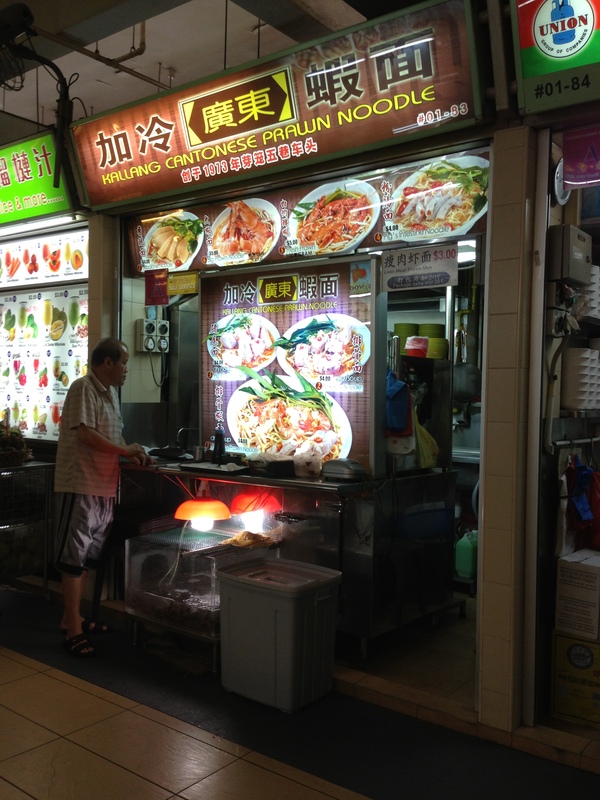 So, if you want my opinion, here goes in order of ranking of the Prawn Mee stalls I like to frequent: Albert St –> Kallang –> Whitley Rd. Posted in Old Airport Rd, Prawn MeeTagged Old Airport Road, Prawn MeeBookmark the permalink.